Isotopes: Natural neon is a mix of three isotopes. Five other unstable isotopes of neon are known. Neon Properties: The melting point of neon is -248.67°C, boiling point is -246.048°C (1 atm), density of gas is 0.89990 g/l (1 atm, 0°C), density of liquid at b.p. is 1.207 g/cm3, and valence is 0. 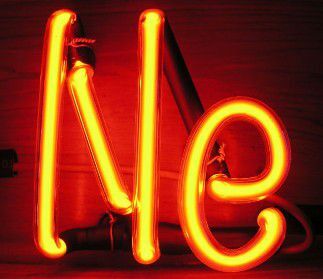 Neon is very inert, but it does form some compounds, such as with fluorine. The following ions are known: Ne+, (NeAr)+, (NeH)+, (HeNe)+. Neon is known to form an unstable hydrate. Neon plasma glows reddish orange. The discharge of neon is the most intense of the rare gases at ordinary currents and voltages. Uses: Neon is used to make neon signs. Neon and helium are used to make gas lasers. Neon is used in lightning arrestors, television tubes, high-voltage indicators, and wave meter tubes. Liquid neon is used as a cryogenic refrigerant, as it has over 40 times the refrigerating capacity per unit volume than liquid helium and over three times that of liquid hydrogen. Sources: Neon is a rare gaseous element. It is present in the atmosphere to the extent of 1 part per 65,000 of air. Neon is obtained by liquefaction of air and separation using fractional distillation. Quiz: Ready to test your neon facts knowledge? Take a neon facts quiz.